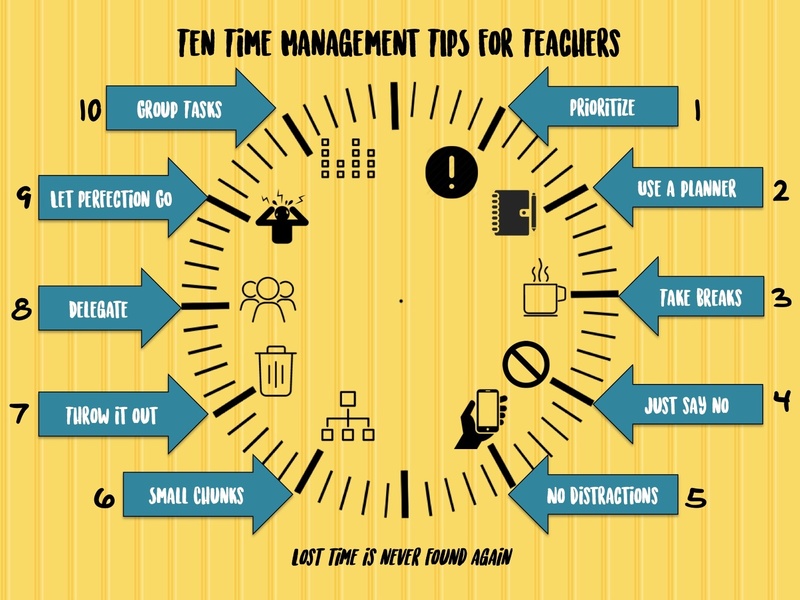 Learn Ten Time Management Tips for Teachers- I never realized how much time I spent on my teaching job until I didn’t have the time to spend anymore. 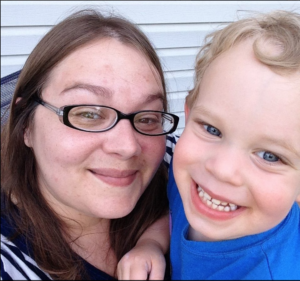 In December of 2012 my son was born and after a short maternity leave, I was thrown back into the world of teaching. My job was the same, but my life was completely different. I had to learn how to better manage my time, and I had to do it fast. It will never all get done. Look at your tasks and ask yourself if the classroom will fall apart if it doesn’t get done. If the answer is no, either don’t do it or push it to the end of the list. It is okay to throw away a stack of homework papers or an activity they did in class. Trust me, they won’t notice; I’ve been doing it for years. If you haven’t already developed this habit, you need to. Every time I check my e-mail I do it with my planner sitting right next to me. Anything and everything important goes into it and I always know where it is. I open it every morning and I take it with me every night. My planner has events, times, phone numbers, reminders, alternate schedules, meeting notes, makeshift lesson plans, and brainstorming. If I have a question, my planner has the answer. Click here to visit Spanish Sundries’ Planner. 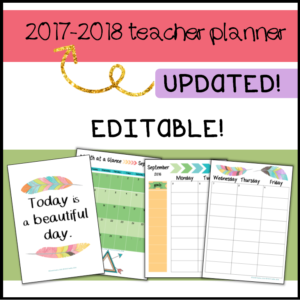 Click here to visit La Profesora Frida’s Planner. Teachers need brain breaks too. If you are embarking on one of those marathon-grading sessions, you can take breaks after you finish grading a class or two worth of papers. I try not to work for more than an hour without getting up for at least 5 minutes. Then, it’s back to work I go. Only someone who works in a school could ever understand the number of requests there are for your money and your time when you are a teacher. There are clubs to be run, dances to be chaperoned, detentions to be supervised, and extra help to be given. I agree to probably about 1 in 5 things that I am asked to volunteer for. I don’t feel bad saying no because I say yes too – I just say no more often. Everyone has different things that distract him or her, so this one takes a little self-reflection. If you like listening to music while you work, maybe that is not a distraction for you. Unfortunately for me, much of my work involves being on the computer, which means there is a high danger of my falling into the “Pinterest Hole” – you know, when you click on one thing and it makes you think of another thing and then you need to see this thing and that thing and…yeah, just stay away from those situations you know will get YOU off track. Setting small, easily reachable goals feels way better than facing a stack of papers that seems insurmountable at 10:00 on a Sunday night. Try to complete one small task every other night. Set a limit to the time you want to spend and complete a task that can be done in that time. If you do this 2-3 nights a week, you will find that you suddenly have most of your weekend back. Teachers are some of the biggest hoarders I know. It must come from the fact that we are always begging for supplies to make our classes run more smoothly. When we get them, we don’t let go easily. However, “stuff” takes time to manage. If you decrease the amount of “stuff”, you decrease the amount of time it takes to deal with it. Doing your job effectively really doesn’t take as much “stuff” as you think. For the past two years, I have taught out of a backpack. Think about your essential things – your backpack things – and get rid of some of the things that don’t make the cut. This is the toughest one for me. A lot of teachers are perfectionists, but don’t feed the monster. “Perfect” takes a lot more time than “really good” takes. The only person who would notice how perfect you are is you anyway (and you already know you’re perfect). See if you can get a student aid or two to handle the monotonous tasks of checking off homework, sorting papers, filing, etc. 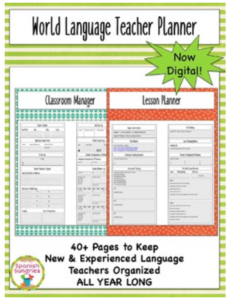 When I don’t have time to create something for my class, I delegate to the fantastic teachers on TeachersPayTeachers. Why would I spend an hour creating something that I could buy for a couple of dollars? My time is worth more to me than that. You will work much faster if you group common tasks together. The less time you spend jumping around from task to task, the more your brain settles in to what you are doing and the more efficient you become. Grading the last 10 papers in a set is much easier than grading the first 10. Planning for the end of the week is much easier than planning for the beginning. This is because your brain likes to stick with the same task and gets better at it as you go along. The Back to School displays are already being set up at my local Target, which means that the new year will soon be upon us. I hope that at least a couple of these tips got your wheels turning. Ultimately, I hope will give you more time to spend with the people that you love, doing the things that you love. Surprises are coming, part 2! Spanish Learning in the Summer!